Picture life in New Salem, Massachusetts during the 1600s. Things were different back then. People lived off their religion, so when rumors spread of witchcraft the town turned to chaos. No one back then liked the concept of witchcraft, and the town worked hard to demolish it. Many innocent lives were taken in the search for the witches. But what if there were a real group of witches living in the town under their very noses? In The Secret Circle: 'The Initiation' and 'The Captive, Part 1', that's exactly what occurs, and today their descendants carry on their legacy. In The Secret Circle trilogy, written by L.J. Smith, author of The Vampire Diaries, Cassie is forced to move from her sunny home in California to the small town of New Salem after her grandmother falls ill. A new school can be stressful for anyone, but a member of the school's elite group, The Secret Circle, has singled her out. 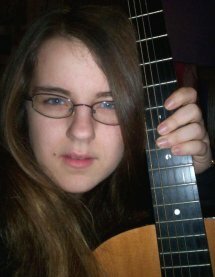 However, Diana, the leader of the group, takes Cassie under her wing, and brings her into their social circle. It's then that Cassie learns the secrets that her ancestors, even her mother, have kept hidden. 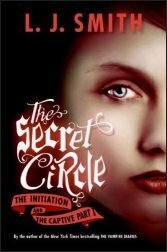 The Secret Circle turns out to be more than just a group of spoiled teenagers. One good thing about The Secret Circle series is that they're easy to read. Also, if you buy The Secret Circle: 'The Initiation' and 'The Captive, Part 1' you aren't left waiting for the second book to come out, because it comes as two books in one, just like Smith did with The Vampire Diaries. So instead of having to go out and buy two different books, you only have to buy one. Smith gives us a whole new perspective into modern day witchcraft. This book kept me turning each page, striving for more. It offers something for everyone, even the forbidden romance we all seem to love. I rate The Secret Circle 4 stars (of a possible 5).